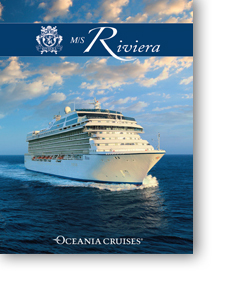 Launched in May 2012, Oceania Cruises launched the luxurious 1,250-guest Riviera - a brand new sister vessel to join Marina, which debuted a year earlier. On board Riviera, designer touches are everywhere, from the magnificent Lalique Grand Staircase to the stunning Owner"s Suites furnished in Ralph Lauren Home. Having delivered the highly successful inaugural book to commemorate the launch of her sister-ship, Marina, we were delighted to once again be commissioned by Prestige Cruise Holdings , to publish "Riviera" - a stand-alone, 112-page commemorative book, for presentation to all attendees of her official naming ceremony in Barcelona.